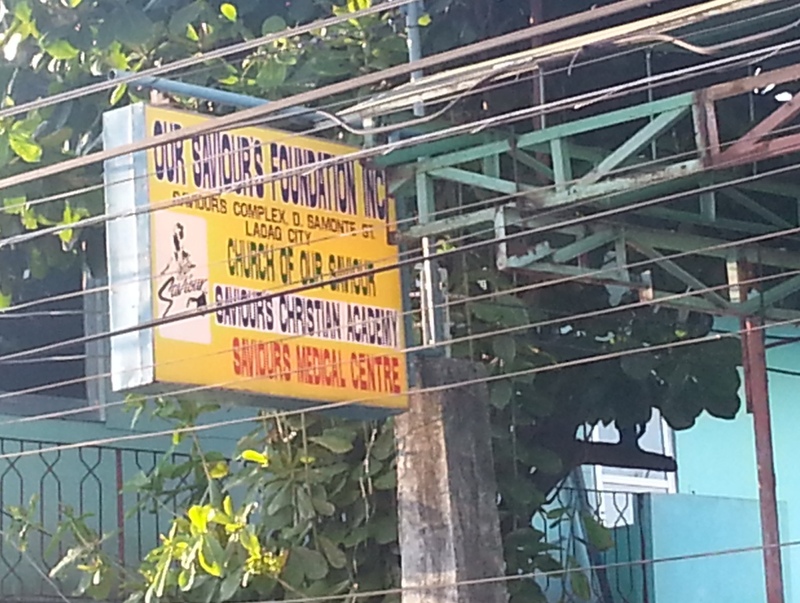 Expected to open next year in Laoag City, particularly in Brgy. Vira—a hilly village where large Fariñas estates are located—is the Rodolfo CG. Fariñas, Jr. National Science High School. President Rodrigo in December signed Republic Act No. 10965, the law mandating its creation. People had mixed feelings about this news. While the creation of a new, modern, well-funded science high school in Ilocos Norte is a welcome development, not a few are baffled with its name. The most vocal critic is Board Member Vicentito Lazo who repeatedly pointed out in the sessions of the Sangguniang Panlalawigan that “a street, plaza, or government building could be named after a person only after 10 years after his death except when that person had attained highly exceptional achievements or when the cause of death is due to patriotism or in the service of men.” The new science high school is named after Congressman and Majority Floor Leader Rudy Fariñas’ son JR who perished in a vehicular accident in 2015. I would not deal with JR’s worthiness for such an honor or whether other great men and women better deserve the distinction, lest I be accused of disrespecting the dead, something I am not inclined to do. The Fariñas family, through the good congressman known for being a devoted father, have all the right to honor their departed loved one by any means allowed by law. And the law creating this science high school is by no means a weak piece of legislation. After all, it was the Majority Floor Leader together with no less than the Speaker of the House, Pantaleon Alvarez who introduced House Bill No. 5235 entitled, “An Act Establishing a National Science High School in the City of Laoag, Province of Ilocos Norte to be known as Laoag City National Science High School and Appropriating Funds Therefor.” Note here the originally proposed name of the school. After going through the process in the Lower House, in August last year it was sent to the Senate, requesting for concurrence. After being read on First Reading, it was referred to the Committee on Education, Arts and Culture chaired by Senator Francis Escudero and the Committee on Finance chaired by Senator Loren Legarda. The joint committee recommended the bill’s approval without amendment and was thus presented on December 6 to the plenary for Second Reading through its sponsor, Senator Escudero. It must be noted that on that day, the senator made an omninus sponsorship speech for 17 bills that seek to establish, separate, convert, and/or rename one elementary school and 16 secondary schools—including the Laoag City National Science High School. Normally, senators are given time to review proposed bills before the period of interpellation, but considering that the 17 bills are of local application and that local legislators, in this case the members of Congress who sponsored the bills, are “better informed and better equipped to make a judgment on these proposed bills,” the senators proceeded with the interpellation. But no one stood during the interpellation and no amendments were proposed for any of the 17 bills… save for one. Senator Franklin Drilon made a manifestation proposing that the Laoag City National Science High School be named instead as Rodolfo CG. Fariñas, Jr. National Science High School. This proposal was accepted by the Sponsor, and there being no objection, the Body approved the amendment to House Bill No. 5235. It was approved on Second Reading that day, and was subsequently approved on Third (and final) Reading on Dec. 11 through a unanimous vote. 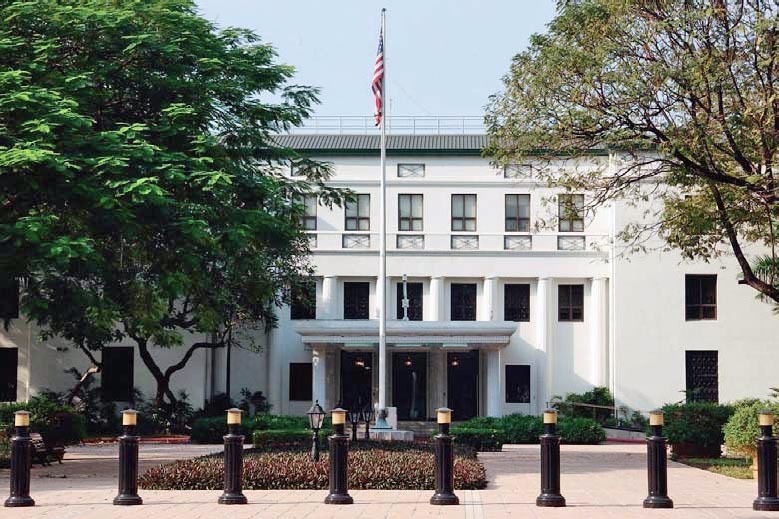 On Dec. 13, HB 5235 was sent to the Office of the President of the Philippines. A few days after, Dec. 19, it was approved and signed into law by President Duterte, and became Republic Act No. 10965. What I wanted to show here is that the law creating the Rodolfo CG. Fariñas, Jr. National Science High School clearly went through the process and had the overwhelming support of the legislature and the Philippine president. Is it legal? Yes. Unless someone challenges R.A. 10965’s constitutionality in the Supreme Court where it is declared as unconstitutional, it is a law that must be enforced and respected. But will anyone challenge it before the High Court? And who? I don’t think even Governor Imee Marcos will go at great lengths to challenge this in the Supreme Court. She is now busy in her senatorial run, and this is not the best time to be at loggerheads with Congressman Fariñas. The memories of the 7171 congressional probe are still fresh. In fact, the inquiry has not yet even been fully, finally terminated and thus remains a potent bargaining chip of Congressman Fariñas. Granting that somebody brave would challenge the wisdom of the Legislature and the Executive Branches of Government and would actually file a case in the Supreme Court, such person would all be but a hopeless martyr, if not a fool, wasting time and resources, and not least because after the Sereno impeachment, who among the justices would wish upon themselves the ire of a major presidential ally such as Congressman Fariñas? And so we can say now with certainty that the Rodolfo CG. Fariñas, Jr. National Science High School, barring any major political upheaval or popular dissent, will open next year. According to news reports, the initial science building will cost at least P110-M and will stand on a three-hectare government lot. Indeed, I have no doubts that Congressman Fariñas–especially because their family name, his beloved son’s name is at stake–will do everything within his vast powers to make it a good one, a great one, one hell of a model science high school in the country. And if this happens, the Ilocano learner will stand to benefit. But this science high school, having been named the way it was named, will also be a publicly funded monument of a family’s love for a departed member. It will moreover be an unmistakeable proof of something we in this country already know and are doomed to endure for a longer time, perhaps for eternity unless we move towards political maturity: that politicians do things because they could. In Philippine society, we look up to teachers as paragons of virtue. They lead us to the realm of wisdom, and let us distinguish right from wrong. Impressive answer, indeed. I am not sure though whether heaven’s gatekeeper let the teacher in, for there’s a chance he may have wondered whether the chaos in Philippine society today—the massive corruption, the greed, the thoughtless bickering, and the lack of foresight, among others—are to be blamed on teachers. We already know how politicians betray us, how professionals like doctors and lawyers do not pay the right taxes, how engineers construct substandard structures, and how other professionals do society more harm than good. My paper abstract was accepted for presentation at an international conference in Hawaii on Nov. 14-16. And the next step was to get a US Visa. I was anxious. For who among us hasn’t heard of heartbreaking, if not horrific, experiences with consuls at the US embassy? The whole process of applying for a visa, and the mere thought of it, seemed daunting to me: bank payment, online application, setting a schedule. My journey began with an online application that was, alas, delayed by a series of unfortunate events: unsuccessful attempts to schedule a group interview (there six seven of us from our university applying together), lack of common available time among us six, adjusted schedules because of flooding in Manila, and the university staff in charge of assisting us traveling abroad for two weeks. Meanwhile, plane fares were steadily going up as days passed. Then the schedule came: September 6, 2013, 6:30 a.m. All of us got the same appointment, but we were to be interviewed as individuals, not as a group, which I thought was unfortunate because I heard group interviews have lower casualty rates. Anyway, I made sure I had all necessary documents that may be asked: passport, appointment letter, certificate of employment, bank certificate, samples of my published works, and a draft of my research paper. A few days before the interview, I searched on the Internet articles about actual experiences of Filipinos during visa interviews. There are a lot of tips shared online, but, aside from coming in prepared and having documents that may be asked, the greatest advice I got was to be honest. Consuls are rigidly trained to detect lies, I read. And I learned too that they have eagle eyes for inconsistencies between what you wrote in the application form and what you say during the interview. I don’t have a problem being honest and consistent, for I know myself quite well, and I am comfortable being me. My real fear was in being assigned either to a cruel consul or to a good one who woke up on the wrong side of the bed. And so, the night before the interview, I prayed to God to give my consul a good night’s rest, and, hopefully, sweet dreams. This year, 2013, has no doubt been a roller coaster ride for Rev. Brian Shah, president of Saviour’s Christian Academy in Laoag City. 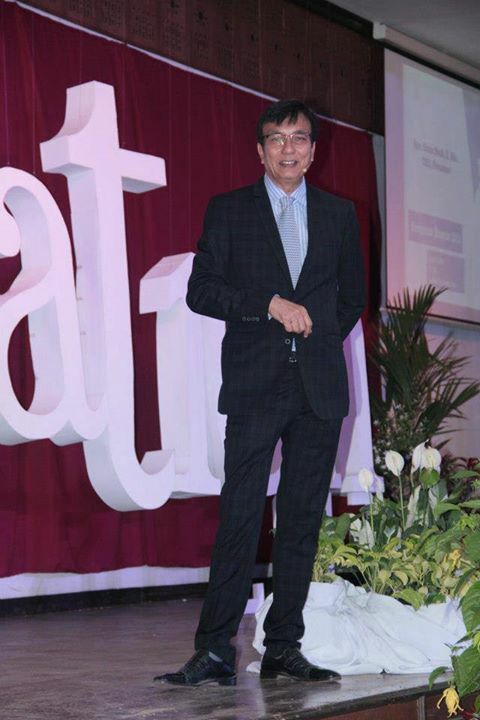 Just last February, he was awarded as one of the Most Outstanding Laoagueños. Today, he is an object of national wrath, and moves are underway to have him deported to his home Singapore. Shah is currently embroiled in a controversy that has angered Filipinos here and overseas—the expulsion of 3 students from his school on the sole ground of speaking in Ilocano. A blog post I made last Tuesday morning went viral in a few hours, and prompted the media to cover it. Various groups have issued statements of support for the three kids while an online petition for Shah’s ouster as school president and deportation from the country is gaining steam. So far, most people know only three things about Reverend Brian Shah: president, pastor, and Singaporean. And this is because he has denied all requests from us in the media to get their side. That, they say, was upon the advise of their lawyer who eventually spoke for SCA in media interviews. Thus, we know so little about Shah’s version of the story. Last Friday, Shah, through an emissary, requested to talk to me so he can air his side. The interview happened yesterday, Aug. 9, in his office at the Saviour’s Christian Academy. It was a holiday so only Shah and his wife May who serves as the school’s administrator, were in the campus, aside from the security guards stationed at the gate. I was a bit afraid to the do the interview but I went anyway. The couple welcomed me warmly. Pastor Shah sat down with me in his office, Ms. May would later join us after serving coffee. The moment we sat, Shah looked at me, his eyes already wet. “It has been a very painful week for me, Herdy,” he said as his tears fell. I did not expect the scene; it was not the Pastor Brian Shah I imagined. I told him I would listen to anything he would like to share. 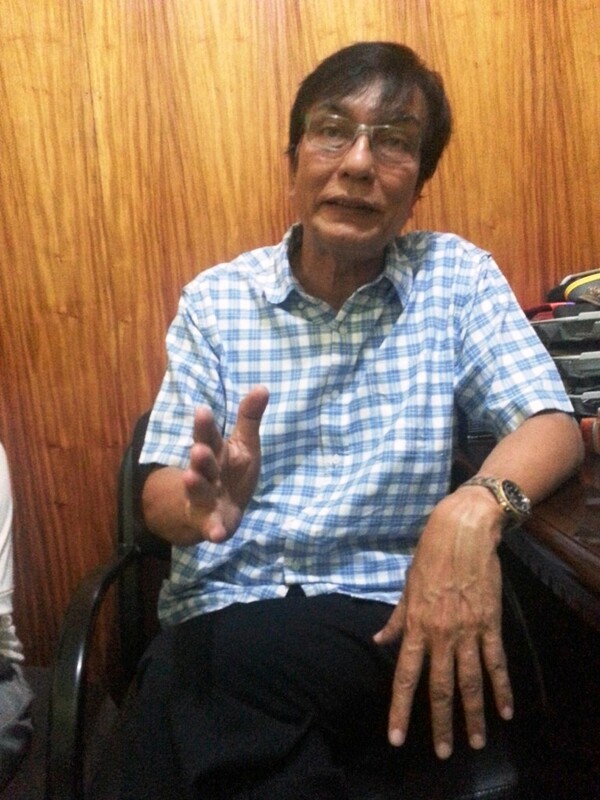 The 59-year old pastor then began by recalling why he came here to Ilocos Norte. In the mid-80’s, he was a rising executive in a multinational company in Singapore, and has been offered the a tempting offer to head marketing operations in Southeast Asia. However, he felt God’s strong calling for the missions, and decided to come here to the Philippines instead. In 1987, he was initially assigned in Dilavo, a fishing village in Pasuquin, one of Ilocos Norte’s poorest towns. There, he immersed with the villagers. He said worked with them and embraced the people’s way of life. The following year, they moved to Laoag City to start their ministry and built the Church of Our Saviour in a rented space at A. Castro Avenue. They constructed a small chapel and, behind it, a small preschool. It was, in fact, a makeshift structure that people referred to as “Kusina School.” For four years it was for free. Later on, rich students were asked to pay so they can subsidize the poor. Through the years, they established other centers: an orphanage in Abra, a shelter for sexually abused children in San Nicolas, and a free medical and dental clinic. They have also been active in disaster relief operations. 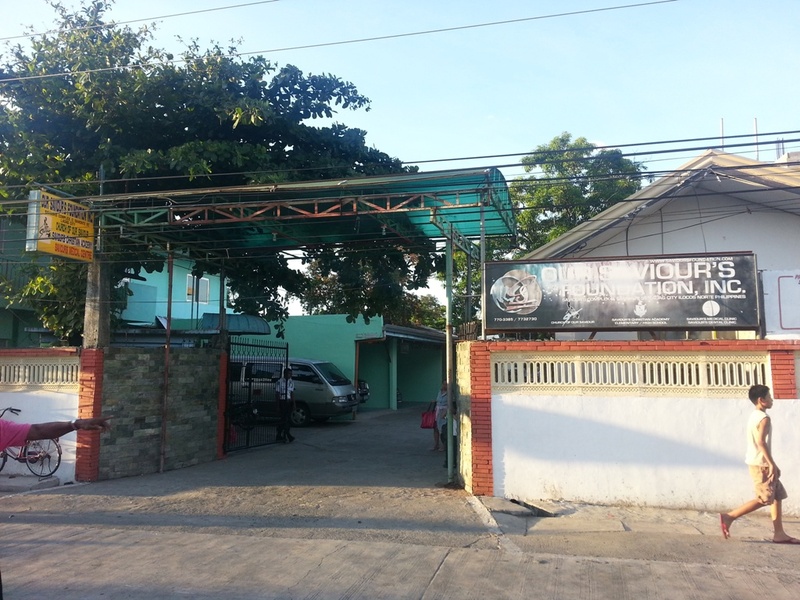 In 2000, the school transferred to its current location in D. Samonte Street. The compound occupies almost a whole block and houses several buildings. Tuition fee per student now ranges between P22,000-P24,000, inclusive of books and other materials. But the couple have also sponsored scholarships for poor students, some of whom are now working as professionals. They currently have four scholars at SCA. The English-speaking policy at SCA began around 10 years ago when Shah noticed that even Grade 5 pupils could not speak basic English. “How come our students are paying for their education, and yet they have not learned basic English?” he wondered. He said he wanted to equip students linguistic skills that will make them globally competitive. 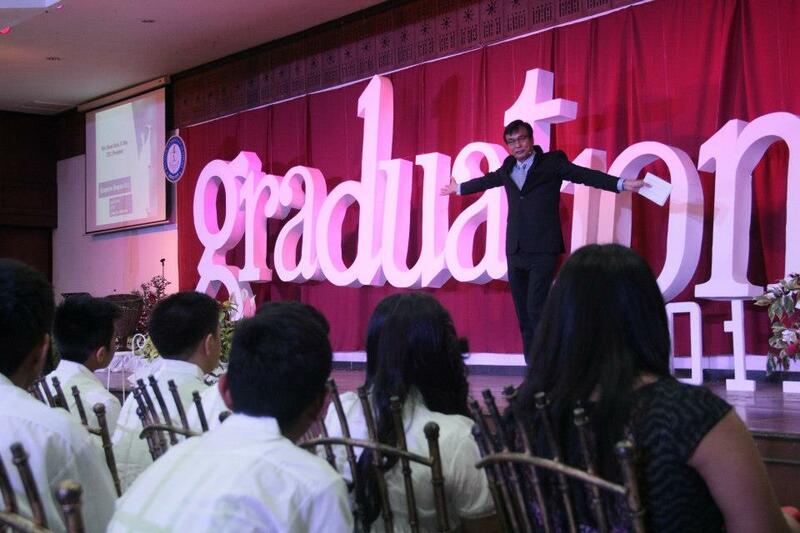 Shah said he has always emphasized to the students the value of excelling at what they do, and to dream big. “You should not only aspire to be a lawyer or a doctor, but a good lawyer or a good doctor.” He said he believes that proficiency in English would open up doors of opportunities for them. Moreover, Shah clarified that the school is fully compliant with the Mother Tongue Based Multilingual Education, and that Ilocano is being used as medium of instruction in Grades 1 and 2. Shah said he has received many complaints from Grade school pupils and their parents as to why high school students have been violating the language policy. “How come we in Grade school are speaking in English while many high school students continue to speak in Ilocano?” Shah quoted the pupils as saying. He said the original punishment was to make the violator write a thousand times that he will not speak Ilocano. But Shah, a hands-on administrator, felt the need to be stricter in imposing the language rule. So, on July 30 in the afternoon, he went to all the classes in the high school level to warn them not to violate the English-speaking policy. “I have given you a lot of warnings in the past but you continue to violate. I am giving you this last warning. Please, I really want you to learn English, so please follow the rule.” Shah told the students. However, just a few hours later, he received a report that the three kids (who, Shah says, were inseparable) spoke Ilocano. “I was upset,” he said, “and that to me was more of a defiance thing, and not much of an Ilocano thing. They were defying school authority.” That very afternoon, he told Samboy Respicio who he said, “is like a son to me,” and whose parents have been his co-pastors for 25 years, that he will be asked to transfer to another school. The next day, Shah informed the other two students, Kleinee Bautista and Carl Abadilla, about his decision, that they will be advised to transfer to another school. Shah denies having gestured like he was about to hit one of the expelled boys. He also denies having said a foul word. “But I admit that I raised my voice because I was overcome by my emotions,” he said. In an interview with GMA Ilocos news, Atty. Jaime Agtang, counsel for Saviour’s Christian Academy, said the issue—that of 3 Grade 8 students kicked out of school for speaking Ilocano—is closed. However, parents of one of the kids have denied this. “How can it be closed when they have not even acted on our formal complaint?” wonders Lamar Abadilla, mother of Carl. 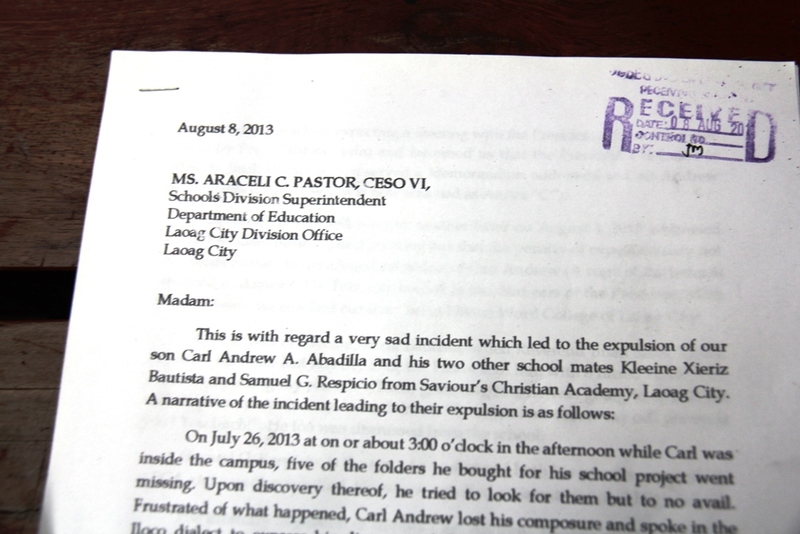 She said they filed on Thursday (Aug. 8) at the Department of Education Division of Laoag City a letter of complaint addressed to Superintendent Araceli C. Pastor. The six-page complaint presented the details of the case, and sought for administrative sanctions on Shah. The parents are also demanding for a public apology. Meanwhile, DepEd Assistant Secretary for Legal and Legislatve Affairs Tonisito Umali is keeping a close eye on the issue. In a television interview yesterday, he categorically stated that speaking in the vernacular is not a valid ground for expelling students. “Mali po talaga yun. Walang batang dapat patalsikin dahil nagsalita lang naman ng Ilokano kahit may English-speaking policy,” he told ABS-CBN’s Anthony Taberna. Moreover, Umali said expulsion of a student is a penalty that must be approved by the Office of Education Secretary Armin Luistro. This, a teary-eyed Kleinee Bautista recalls, is what happened when Reverend Brian Shah, president of Saviour’s Christian Academy, talked to him in his office Wednesday last week, July 31. Already devastated by the harsh words, the 13-year old boy’s world crumbled when the pastor-president handed a decision: he is dismissed from the school. Kleinee’s offense? He, along with two other Grade 8 students, spoke Ilocano inside the campus. Located in Laoag City, Ilocos Norte, SCA has an English-speaking policy that bars everyone—parents, teachers and staff, and students—from speaking in Philippine languages, be it Filipino or Ilocano, within the campus. Their student handbook says speaking in the vernacular is punishable by a reprimand. 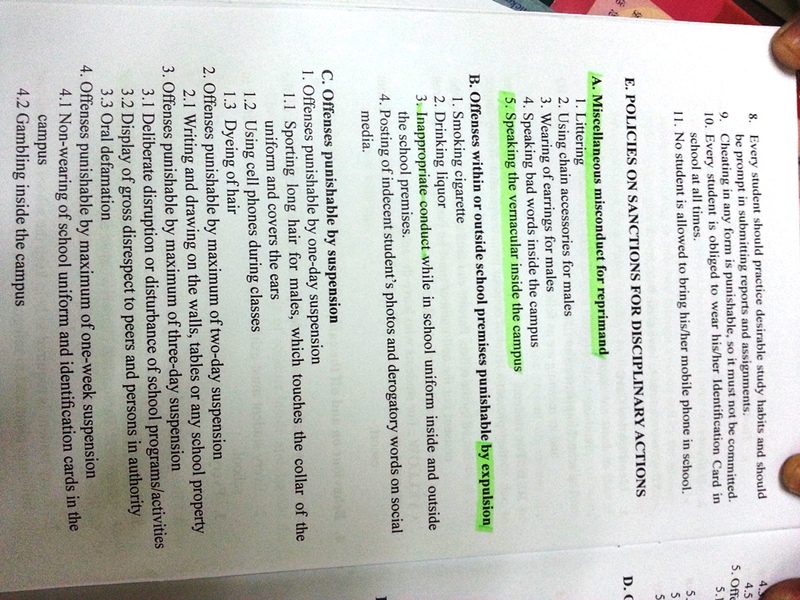 The handbook also lays out the guidelines in dealing with alleged violations of school codes. The due process includes giving a warning first, and then a conference with parents. 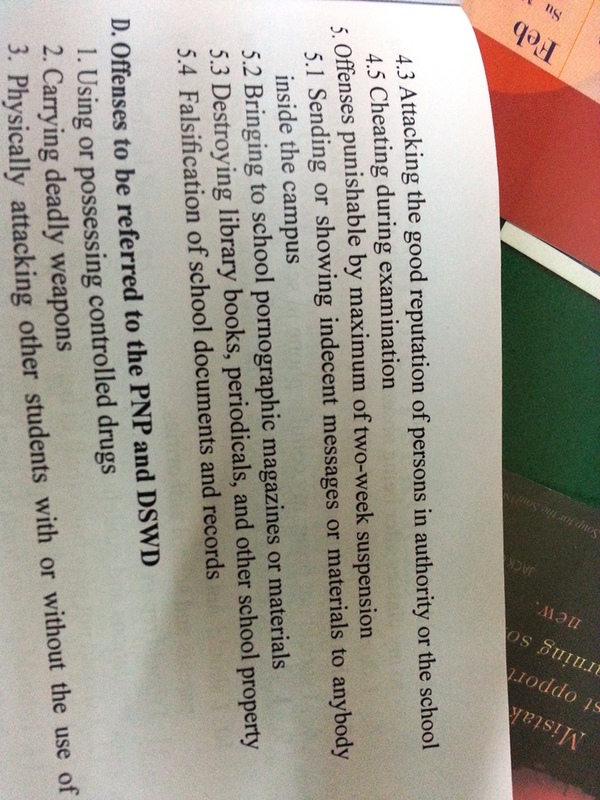 Why and how Shah could get away with due process and arbitrarily ‘kick out’ students is something the family of Carl Abadilla, another dismissed student, could not understand. His mother sent two letters appealing for reconsideration, both of which Shah ignored. The experience has been traumatic for both kids. Kleinee did not eat for days and could not sleep. Carl felt very hurt and “nawalan na ng gana.” At a young age, they bear the stigma of being kick-outs. Kleinee has studied at Saviour’s school since prep. That school is the only one he has ever attended. It has really become his second home. Together with his friends, he has kept memories and shaped dreams in that school. Meanwhile, Carl has been at Saviour’s for only a month and a half. A victim of bullying at St. Mary’s Seminary during his freshman year in high school, he transferred to SCA, expecting to find refuge. “Little did we know,” Carl’s mother said in an interview with The Ilocos Times, “that our child will be bullied by the school president himself. Samboy, the third student who was kicked is the son of a pastor. Both his parents are working at SCA, and are under Shah, so they opted to just accept the decision silently. But one can imagine how difficult it is for the boy, too, to be kicked out from the very school served devotedly by his family. Classes have been going on for two months, and it is difficult to find a school that will accept the “dismissed” students. 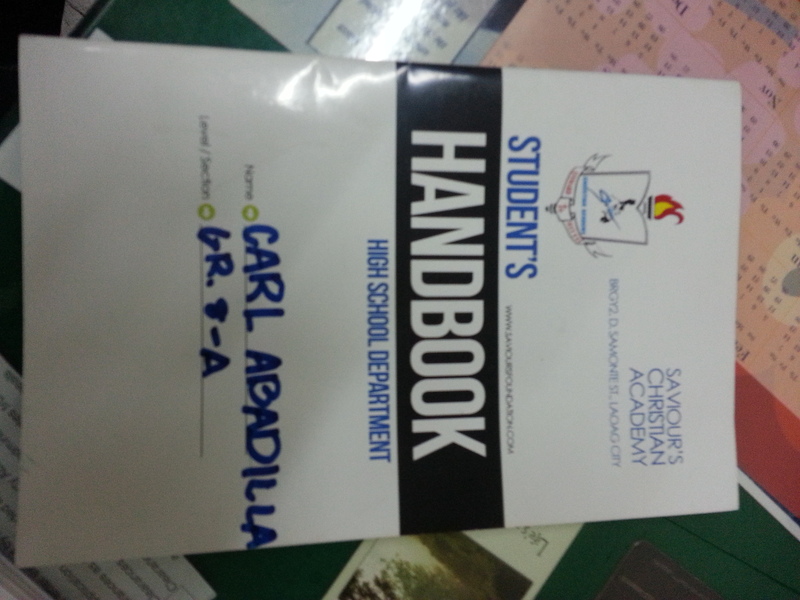 Fortunately for Carl, Divine Word College of Laoag accepted him with wide open arms. As of this writing, Kleinee is still an out-of-school youth. According to SCA teachers who spoke on condition of anonymity, the three students have been performing well in school and have exhibited proper behaviour until they were dismissed from the school for speaking Ilocano. “Speaking Ilocano is a crime,” some students quote Shah as saying. “But does that make all Ilocano speakers criminals?” wonders Carl’s mother, a regional trial court employee. The issue has come out on radio, but Shah has consistently veered away from media interviews. Asked for a reaction, he declined to comment by saying, “No thanks, I’m busy” before he hurriedly hung up the phone. 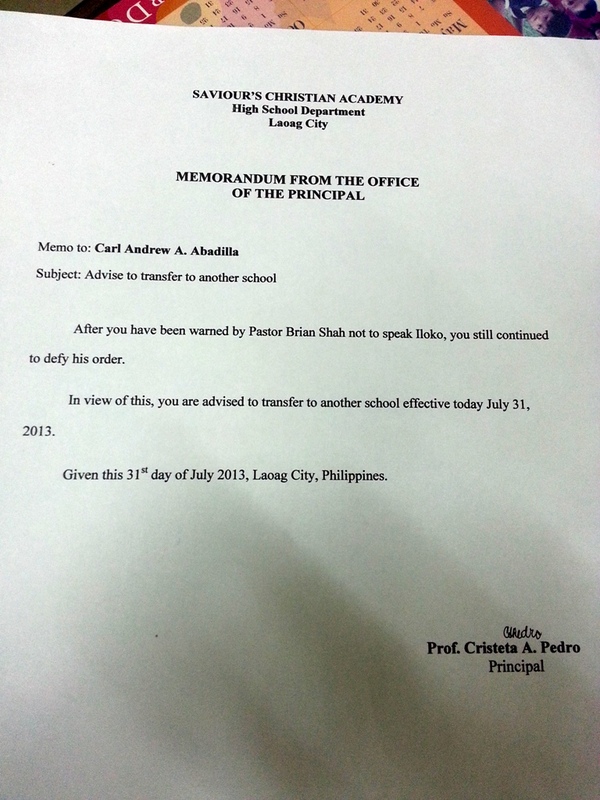 Instead, it was Ms. Cristeta Pedro, SCA’s high school principal, who has spoken for the school. She stands by the school policy and justifies the punishment meted out on the students. What the parents of the kids lament, however, is that Pedro claims there was due process when the parents claim there was none. After some students reported hearing the three speaking in Ilocano, and Shah immediately dismissed them in the absence of a thorough investigation and trial and without conferring with the parents. Whether the supposed offense is commensurate to the punishment—that of being dismissed during the school year—is, to say the least, questionable to many. 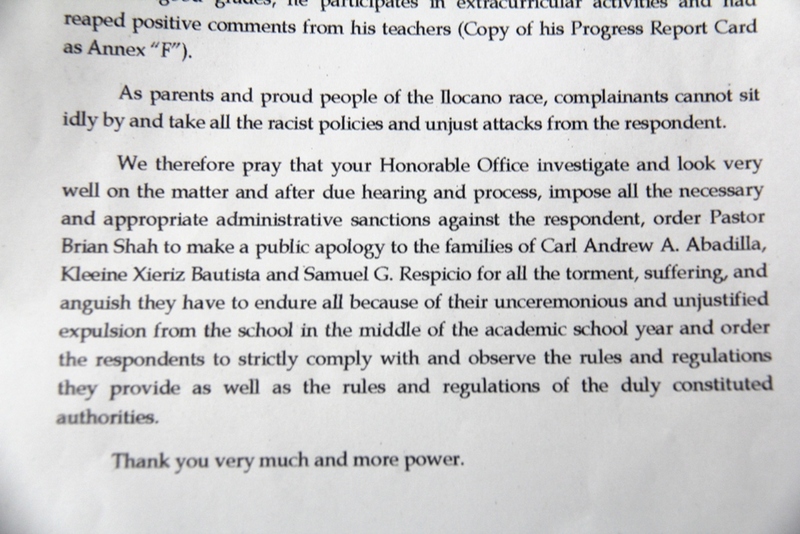 In an interview with Mr. Michael Lomabao, who is currently the high school’s officer-in-charge (Ms. Pedro is on leave and is said to be in the United States), this is not the first time the school dismissed students for violating the language policy. 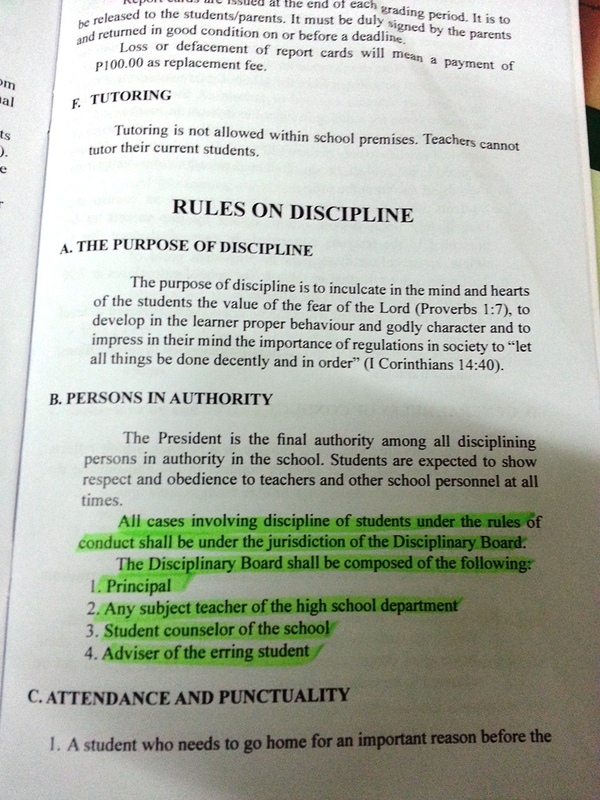 Lomabao also confirmed the punishment specified in the handbook for the violators: a mere reprimand. “This is a form of linguistic injustice and cultural disrespect,” opines Dr. Alegria Tan-Visaya, president of Nakem Conferences Philippines, and chief of the Ilocano-Amianan Studies Center at the Mariano Marcos State University. This observation is shared by Eugene Carmelo Pedro, a Philippine languages activist and currently a law student at the University of the Philippines Diliman. “I admire that they want their students to be fluent in English in words and in thought, but I think their policy is foolish and dated,” says Eugene, who is not related to SCA’s high school principal. “Immersion is really one of the best ways to become fluent, but it doesn’t really work when the school shames students for speaking their native language,” he adds. Even poor teachers are victims of Shah’s linguistic dictatorship. Teachers have been warned not to use Ilocano or Filipino in conversing with students in social networking sites (even if they are using the Internet in their own homes.). If Shah finds out, they were informed, the punishment is forfeiture of a month’s salary. Indeed, one wonders, dear karikna, why all these had to happen at a time when today’s thrust of basic education is the strengthening of our mother tongue, a measure meant to fortify the linguistic foundations of a child. Research done in various developed countries show that proficiency in one’s mother tongue or first language will increase one’s chances of being good at other languages, both local and foreign. In short when one is good in Ilocano, our first language—not only in conversational use but in formal reading, writing, and speaking—one is better prepared to learn Filipino, English, and other languages. With this in mind, the Department of Education is now on its second year of implementing the MTBMLE or the Mother Tongue-Based Multilingual Education. According to Mr. Lloyd Rosquita, education supervisor for private schools (DepEd Laoag City), although SCA is a private school, it is still under the supervision of DepEd. Moreover, SCA is also considered as a regular private school. Meaning, it is not an international school accorded more autonomy in terms of school curriculum and operations. SCA is thus not exempted from implementing MTBMLE. And though Reverend Brian Shah and his wife May, the school administrator, are Singaporean nationals, they are not over and above our laws, especially not our Constitution. But of course, dear karikna. The parents should. No, we should. For these foreigners have obviously abused our hospitality. We welcomed them warmly. We allowed them to establish their church and school in our land. We have entrusted our children to them, and then this. This disrespect. This injustice. This unparalleled arrogance Shah fittingly exhibited at the best time possible: the eve of Agosto, the month of Philippine languages. Though supposedly a modern-day Christian, Shah puts to shame the decrepit men-of-the-cloth in the middle ages. And this reflects in the way he manages the school. This reflects in the way he wants their students to learn English. This shows in his strong belief in a world where fear and punishment are more powerful than inspiration and role modeling. You want students to be good in English? You show them how that language can be useful to them. You let them realize how it can help make them better persons. You inspire them to be as good as you are, or even better, in its use. That is a real educator’s way. That, I say, is a real Christian’s way, that of love and compassion. For all his language tyranny, it is common knowledge that Shah’s English is terribly painful to listen to. And it is not because he is Singaporean. It is simply because his English is terrible. So how can Shah, this Singaporean, do such cruelty to those kids and their families who share the pain? Is it because he looks lowly at Ilocanos? 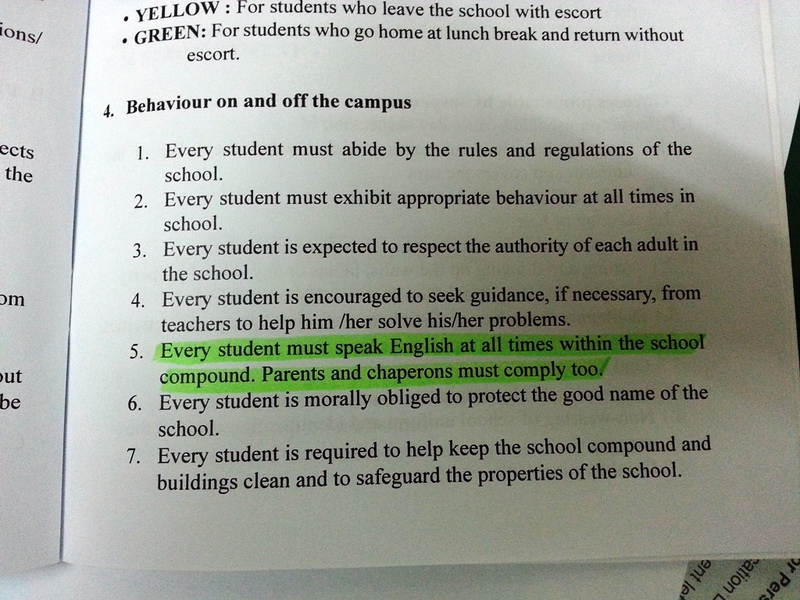 Can you imagine a school in Singapore kicking out students simply because they speak Chinese? Not there. Not in Shah’s home country which has embraced a vibrant multiculturalism. Supporters of the school can say that those who do not want SCA’s language policy should not enroll their children there. But that is not the point. For, by the same logic, I could say, if Shah hates the Ilocano language that much and treats its use inside his kingdom-of-a-campus as a crime, then he should not establish a school in Ilocos. He should instead do to his countrymen what he has the misplaced balls to do here. And let’s see if he can dare smash a cell phone on a Singaporean kid the way he tried to do so on one of our own here. I am, dear karikna, grieving. Grieving for the kids. Grieving for the disrespect on our language. Grieving the fact that bit***s now come in the form of pastors and school presidents. It’s a crazy feeling.. when you trained a student well, saw in him a lot of potential, believed that he is well-empowered to make a difference out there where the real action is, and actually felt excited on what and how he can contribute to humanity… but you suddenly see him in the hallway applying to be, just like you, a teacher.. right away.. fresh from graduation.. the rented toga still bearing sweat marks. But doesn’t the world outside have greater need for good men and women? Not that I am saying we don’t need brilliant persons to be teachers. Not that I am saying teaching is of little worth (of course, not!). And not that I am minding the career plans of others more than I should (or maybe, I am). It’s just that, except for education graduates who are really meant to teach, you have a lot of good career options out there if you are really brilliant. And, if you end up wanting to be a teacher just because you’ve got no good options, all the more you should not be a teacher.. for no way should losers teach our kids. And the worst kind of losers are those who have not even tried enough, or at all. Better to see the world, battle in the jungle, get bruised and struggle, gain some texture, determine what among those we teachers have taught you are real and what are lies and exaggerations. Then, if you still want to be a teacher.. good! No offense meant. I know some who were fresh graduates when they joined the academe, and they eventually became excellent teachers, real treasures. I have respect for them. Just some random musings of this teacher too eager to see the youth make their mark elsewhere only to see them again in the same spaces where we all dreamed together.